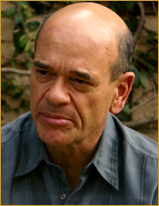 A graduate of Yale University, Robert Picardo made his Broadway debut in the comedy hit GEMINI in 1977 with Danny Aiello. He also appeared in Bernard Slade's TRIBUTE, and THE NORMAL HEART for which he won a Drama-Logue Award. He then began his long and successful association with television, where in 1988 he was nominated for an Emmy Award for his role as Mr. Cutlip on the series THE WONDER YEARS. In 1995, he won a starring role as "The Doctor" on the STAR TREK: VOYAGER series. He directed two shows, and appeared in more than 170 episodes throughout the 1990s. He also starred in 62 episodes of CHINA BEACH (for ABC Television), and more than 30 episodes of the hit series, STARGATE ATLANTIS. In the summer of 2009, he completed filming THE LEGENDS OF NETHIAH for director Russ Emanuel. Bob is presently appearing in a new television movie based on STARGATE (2009), where he is reprising his starring role of Richard Woolsey. 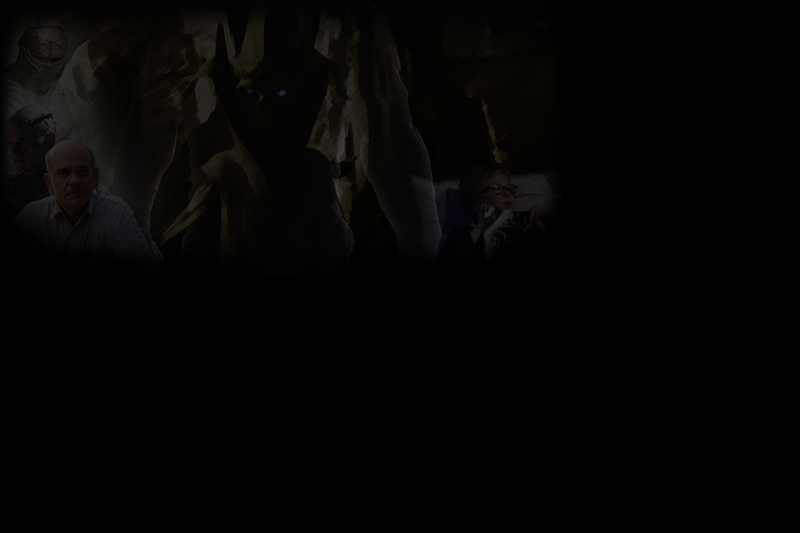 A Resident of Los Angeles, THE LEGENDS OF NETHIAH marks Jared Young's cinematic debut. 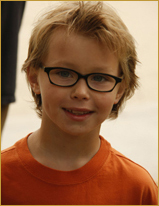 He attends the UCLA Lab School, and entered the fourth grade in September 2009. 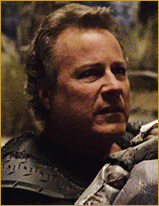 John Heard is a veteran of more than 125 television and motion picture projects. He first came on the scene as an Award-winning stage actor during the early 1970’s, and made his screen debut in a Hallmark production of VALLEY FORGE in 1975. Further projects included starring roles in CUTTER'S WAY (with Jeff Bridges), ONE EIGHT SEVEN (with Samuel Jackson), BIG (with Tom Hanks), and the hugely successful HOME ALONE, as Macaulay Culkin’s father (he also starred in the 1992 sequel version, HOME ALONE 2). In 1999, John was nominated for a Prime Time Emmy Award for his role as Vin Makazian in the HBO hit series, THE SOPRANOS. In THE LEGENDS OF NETHIAH, he is featured as Nethiah's warrior father. A prolific actress living in Los Angeles, Theresa Russell made her debut in Elia Kazan's THE LAST TYCOON in 1976. She would later become a familiar face in numerous independent films including BAD TIMING: A SENSUAL OBSESSION, EUREKA, INSIGNIFICANCE, ARIA, and IMPULSE. She has also starred in larger studio films such as BLACK WIDOW (1987) opposite Debra Winger, WILD THINGS (1998) playing Denise Richard's promiscuous mother, and recently starring opposite Thomas Hayden Church in SPIDERMAN 3 (2007). 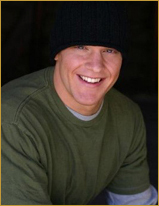 A native of Alabama, Jeremiah Sayys has been residing in Los Angeles since 2004. 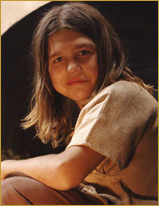 THE LEGENDS OF NETHIAH represents Jeremiah's acting and producing debut. He also marked his directorial debut with the film, OF SILENCE, in which he also co-stars with Masiela Lusha. The film is in post-production and is set to be released in 2010. Born in the Northwest, Julie Michaels attended the University of Washington, and is best known for her cinematic debut opposite Patrick Swayze in ROAD HOUSE (1989). Since then, Julie has been in numerous films and television shows including JASON GOES TO HELL: THE FINAL FRIDAY (1993) as Sgt. Elizabeth Marcus, a 2006 episode of HOUSE M.D. and most recently, THE LEGENDS OF NETHIAH (2010). She has also worked as a stunt player in such films as BATMAN FOREVER (1995), TITANIC (1997), THE SCORPION KING (2002), and DOMINO (2005), and coincidentally did her own stunts on THE LEGENDS OF NETHIAH. Laura Covelli, a native New Yorker, got the bulk of her acting training at The Actors Center, a prestigious institute in NYC. After completing her training, she began writing and performing original works, in her favorite style ~ a combination of clown and physical comedy. Before moving to Los Angeles to pursue a film and television career, she starred in the title role of Edward Allen Baker’s dark play, DOLORES, at NY’s Gene Frankel Theatre. Now in Los Angeles, she works with the LA Womens’ Shakespeare Company, which allows this diehard theater lover an opportunity to pursue her passion, hone her skills, and wield a sword! Living in Los Angeles and represented by Sovereign Talent Group, Jilon Ghai has been in numerous films including DEATH TUNNEL (2005), DEATH BY ENGAGEMENT (2005), MARCO POLO (2009), and most recently THE LEGENDS OF NETHIAH (2010). 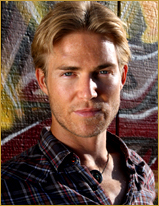 He also has been in several television series, including guest starring in PSYCH and COLD CASE, as well as being a series regular in HARRY NASH and THOR'S HAMMER. Richard Sandrak was born in a small village in the Ukraine, in the former Soviet Union. At the age of 2, he immigrated with his parents to Pennsylvania. Only a year later, he began to train in both the martial arts and bodybuilding, while using small lightweight dumbbells to help strengthen his developing body. In 1999, he moved with his family to California in the hopes of a better life. Shortly after, the media began to take a notice of Richard's training, his remarkable young age, and his incredible progress. 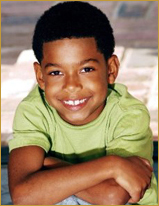 During this time, Richard met his first manager, who named him Little Hercules, "The Strongest Boy", which became an appropriate title due to his starring role in LITTLE HERCULES, IN 3-D (2009). Residing in Los Angeles, Bryce Clyde Jenkins has already starred in numerous films including MY HOMEWORK ATE MY DOG (2009), EASY A (2010), and (more recently) THE LEGENDS OF NETHIAH (2010). 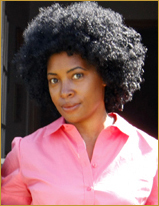 Originally from Washington, D.C., Lavinia Dowdell graduated from the University of Maryland and in 2009 moved to Los Angeles. She has appeared in several independent films and commercials, and made her Off-Broadway debut at the Studio Theatre in the original play THE HAT LEFT BEHIND. She also worked with director Russ Emanuel on his feature films P.J. (2008) and CHASING THE GREEN (2009).